In Suzuki’s practice, drawing expands from being a somewhat ‘primitive’ method of expression into a contemporary technique of reflection and transformation. 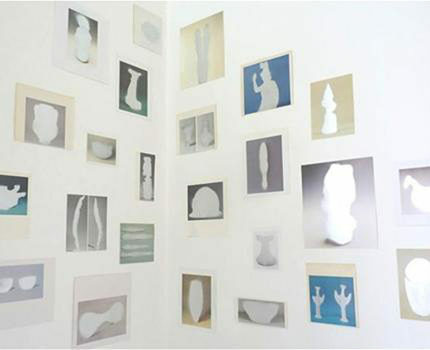 Associating the act of drawing with the process of ‘excavation’ – revealing memories and unknowns that lie dormand within in our daily life – he perceives paper surfaces as excavation sites, and carefully inscribes the moment when the different dimensions of time and space combine on a two-dimensional plane. His recent drawings, in which he repeatedly use light reflective materials such as silver marker and spray paint, shift thier visibility according to the perspective of viewers and create resonance with the immediate environment. In this exhibition Excavated Reverberations, Hiraku Suzuki presents his recent approaches to drawing through several series of works on paper which combine different methods of drawing. He has a constant interest in the genesis of letters and symbols, which leads him to explore an alternative universal language, which he relates to familiar environment and materials in today’s world. Hiraku Suzuki was born in 1978 in Miyagi, Japan, and currently lives and works in Berlin, Germany. He received an MA in Fine Arts from Tokyo University of the Arts in 2008. He has been awarded various grants from organisations including the Asian Cultural Council (2011-2012) and the Pola Art Foundation (2012-2013). 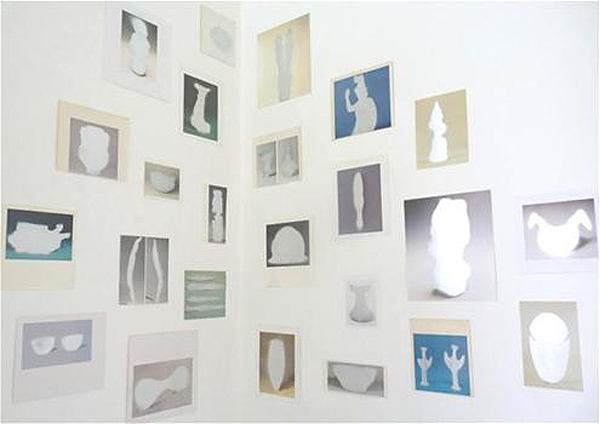 Recent solo exhibitions have included those held at Wimbledon Space, London (2011); Galerie du Jour Agnes b., Paris (2010) and Tokyo Wonder Site Shibuya, Tokyo (2008). Group exhibitions include Son et Lumière, et sagesse profonde, 21st Century Museum of Contemporary Art, Kanazawa (2013), One and Many, Location One, New York (2012); Roppongi Crossing, Mori Art Museum, Tokyo (2010) and Between Site & Space, ARTSPACE, Sydney (2009). 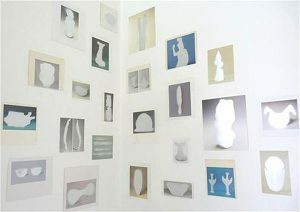 His works are held in the collection of the 21st Century Museum of Contemporary Art, Kanazawa and Agnes b. Collection. He has produced the catalogue GENGA published by Kawade Shobo Shinsha/Agnes b., and Looking For Minerals published by BEAMS. Simon Kaner is Head of the Centre for Archaeology and Heritage at the Sainsbury Institute for the Study of Japanese Arts and Cultures and Director of the Centre for Japanese Studies at the University of East Anglia, Norwich, who most recently led the first British commercial archaeological tour to Japan in November 2012.